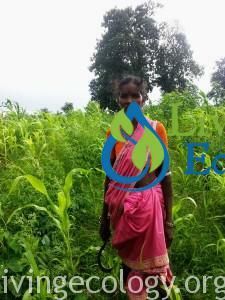 See Aranya Agricultural Alternatives website description. Come and join us for this certificate course studying and practicing the art and science of effective teaching, through a wholistic permaculture perspective. Facilitating Experiential, Creative and Participatory Learning Experiences. Teamwork – Hosts, Co teachers, Guest Presenters, Teaching Assistants and Students. Facilitating meetings and group decision making. Lots of practice time to gain skills in masterful teaching! In this course, you will learn about rain water harvesting earthworks and put that knowledge into practice with villagers on their farms in the rural Indian drylands. Topics covered will include, the context of rain water harvesting today, climatic factors, site assessment, understanding landforms, tools such as A frame, bunyip water level, dumpy level, a wide variety of water harvesting earthwork structures, how to find contour lines in the field, vegetative strategies, and working with poor rural villagers. Students will apply these rain water harvesting skills on local villager’s farms, helping them drought proof their land, and help you get the hands on experience needed to feel confident to do this kind of work on your own. Living Ecology has been working for 3 years with Aranya Agricultural Alternatives, the hosts of the International Permaculture Convergence 2017, teaching students permaculture consultancy skills and working with farmers to transform their barren lands, or GMO mono-cropped farms, into functional diverse permaculture models for the surrounding areas to be inspired by and learn from. During this course, you will learn the permaculture consultancy skills of how to create a map to scale through triangulation with both a measuring tape and a dumpy level. You will learn how to create a base map, a rainwater harvesting overlay, and a concept design map with colored landscape design graphics for permaculture design planning and client presentations. You will create these maps from surveying local villager’s farms that Living Ecology has been working with doing rain water harvesting earthworks and permaculture design consultations. You will come away with a beautiful map presenting permaculture concepts in a clear, visual way. So, what next after you complete a PDC? Full of information and ready to put it into action, or maybe you already have… Permaculture is a design science. Creating a farm or village plan that effectively provides solutions to issues, and operates effectively as a cultivated ecosystem, requires the knowledge of how to decide the best placement for each of the component of the system. This course will delve into how to go about that design process; through theory, case studies and hands on examples. Group work will deepen the learning, as participants will engage in the thought process of design along with other permaculture enthusiasts. A completed PDC is a prerequisite for this course. Good permaculture design process requires the professional skills used in consultancy, whether for yourself or a client. 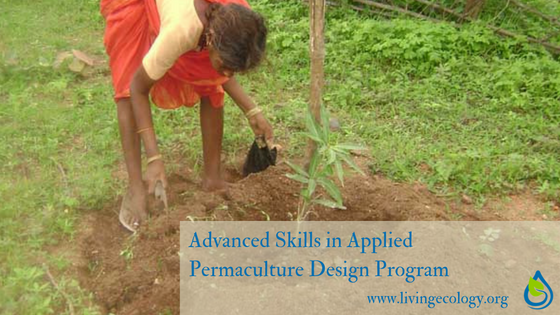 This course will cover the steps, process and documents you will use for permaculture consultancy as a professional business. We will study the permaculture principles, ethics, zones and sectors in an in depth way, and how they are used in design decision making. We will cover the order and phases of planning and implementation, how to use a SMART goal and work within a budget. Client interview, site survey, types of mapping required (actually doing the mapping is covered in the 6 day mapping course), documentation, planting and implementation plans are the parts of the process of a completed permaculture design plan that will be covered. How to plan for biodiversity and patterns will be discussed with ample examples at the beautiful Aranya Farm. Finally, we will cover assessment and feedback loops which are essential to adjusting the design to align with nature. Aranya Agricultural Alternatives has worked with thousands of farmers, bringing permaculture as an alternative to water extractive cash crops, GMOs and unfertile deforested agricultural lands. Aranya currently received large funding from the World Bank to show how permaculture can provide solutions for farmers in Andrha Pradesh who are suffering greatly from drought and climate change. This session will be apprenticeship style, working with Aranya and poor farmers to assess and implement solutions. This session will include time interviewing farmers to get a personal look into the issues, site assessments and design solutions, water harvesting, and perennial biodiversity for resiliency and food sovereignty. We will have classroom sessions to discuss what arises, as well as ample dirt time and community interactions. This is good look at what will be facing in the near future around the world in these changing climatic times. This is the only session that will not be hosted at Aranya Farm as it will be held in the Aranya’s project area in Andrha Pradesh. This course will be taught in typical Living Ecology programming style, a blend of classroom learning with plenty of hands on learning and implementation, which will benefit a poor local school. We will go through a consultancy process with a school, interviewing the stakeholders, assessing the site and creating a social and physical permaculture design that meets the needs of those involved. This course can be taken as an individual course. If taking many or all of Living Ecology’s 2019/2020 courses, this course is the culminative course in which all skills learned in previous courses will be utilized to benefit school children in a poor, rural school. an incredible non profit organization based out of Hyderadbad, Telangana, India. and has a 20 year old dryland permaculture farm and teaching center.